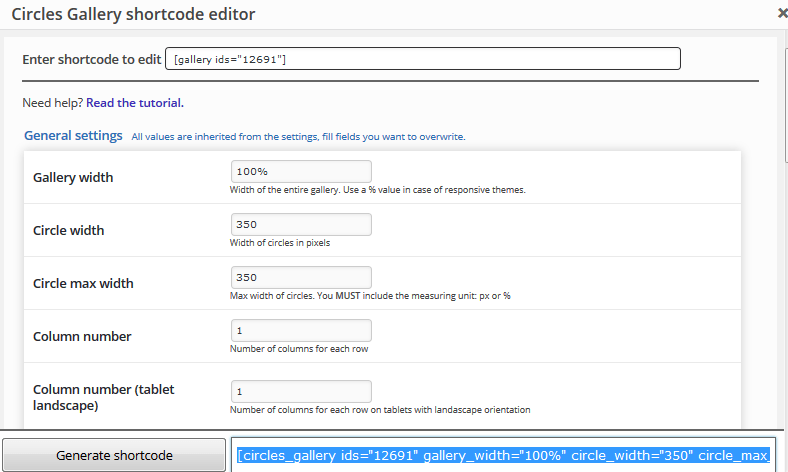 If you’re looking for a WordPress plugin that allows you to create a beautiful galleries with rounded images you’ll definately want to consider the Circles Gallery plugin. I just recently tested the free version of this plugin on the NexToronto website. I was able to quickly create a beautiful gallery of images which represent the different Web Development & Internet Marketing services on my website. This is one plugin I will likely purchase in the future since I love the different hover effects and animations that you can find on the Circles Gallery website examples. Once you’ve installed this gallery through your WordPress dashboard you are now ready to use this plugin through your WYSIWYG editor. 1. Click on the Add Media button above the WYSIWYG editor. 4. Choose to create new gallery and then insert the gallery into the page.